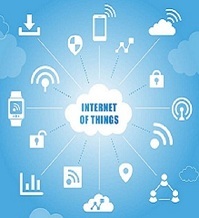 Commoditization of Sensors, Cloud Computing and Storage, Open Source Software are enabling IoT Solutions to help Enterprises to move from Reactive to Proactive Management and improve Customer Satisfaction and save Operational Expenses. 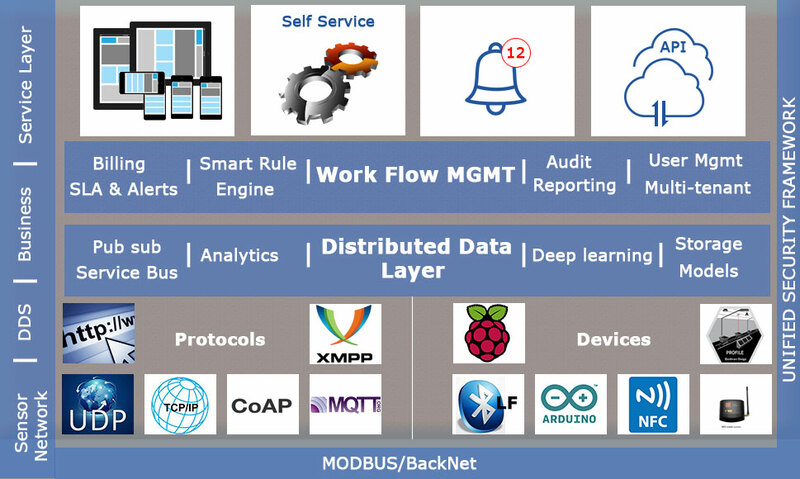 CTWorks team, with decades of experience in building sensor based applications, Cloud, Analytics and Internet Software has developed our IoT platform to bring “Just in Time automation” advanced workflows and analytics. Leveraging Pay as you Go Software as a Service model, Our team is committed to deliver cost effective solutions that help our customers to implement Proactive Management. Using CTWorks cloud platform, CTWorks offers fine granular Software as Service (SaaS) features in pay as you go business models. 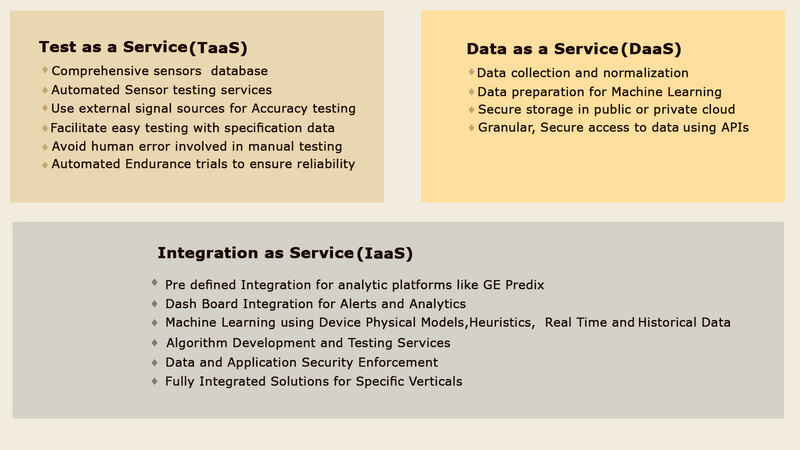 Leveraging our expertise in building sensor connected applications, software integration and analytic applications, we are offering automated Test as a Service (TaaS) for periodic sensor testing to meet compliance and maintenance standards. With our Data as a Service (DaaS) offering customers can take advantage of our sensor data collection to integrate into their existing analytics infrastructure. With our Integration as a Service (IaaS) offering, customers will get the benefit of complete applications. Using our Open APIs, customers will be able to integrate our services and insights directly in to their works flows and applications. Using CTWorks cloud platform, we are offering complete solutions for Emergency Exit Light Management, Life and Fire Safety Applications. Our applications help our customers to automate testing and maintenance services and reduce Mean Time To Repair (MTTR). With out automated data collection and reporting features, compliance to standards such as NFPA4 becomes routine with no additional efforts. CTWorks partners with Dubai based Mircom Zahra to bring IoT solutions in the MENAI region. Read more. 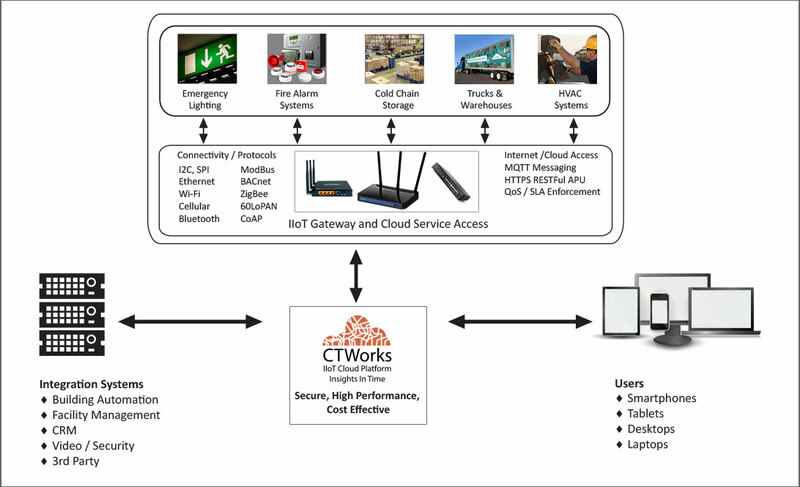 CTWorks and Sunlux technologies forge partnership to deliver IoT enabled advanced and workflow based solutions with tighter integration of Sunlux IoT products and CTWorks IoT Cloud Platform. Read more. Sangam Sangameswara is responsible for the CTWorks vision, product strategy and execution. Sangam is a seasoned technologist and an entrepreneur. He has over 20 years of experience in Internet and Software Industries. Sangam has successfully delivered solutions using Cloud platforms and SaaS services for Online Video, Advertisement and Enterprise applications. 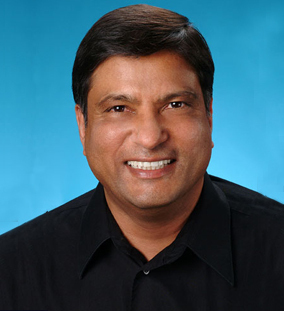 Sangam was founder several silicon valley companies. He previously worked at Apple and Intel. Ram Kerur is responsible for CTWorks solutions delivery. Ram has over 20 years experience and has successfully deployed many complex sensor and control systems based applications around the world. Ram is founder and CEO of Sunlux technologies. Ram was part of Techsar’s founding team. Ram’s other experiences include delivering services to international customers at HCL Technolgies. Shahul Hameed is responsible for CTWorks Business Development and Customer Acquisition. 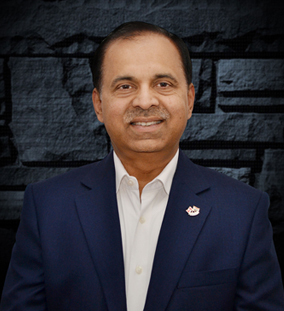 Shahul is Vice President of Strategic Development, MENAI region for Mircom, a leading Life Safety products company in Toronto Canada. 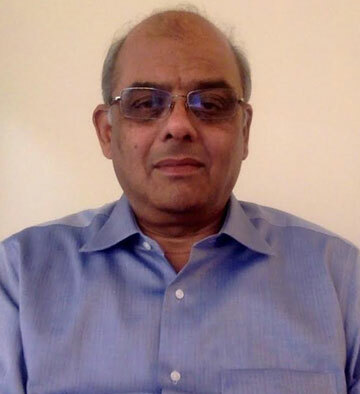 Shahul is highly recognized growth business development executive in the Middle East, Africa and India. He has lead marketing for companies such as Honeywell, Cooper, Bahri & Mazroei for Life Safety, Building Automation and Security areas. Shahul was instrumental in developing business and building many brands. By combining IoT, Real Time and Historical Data, Predictive Analytics and "Just In Time" automation workflows, CTWorks has developed a cutting edge secure on-demand cloud application delivery platform for demanding enterprises. 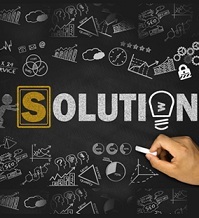 Leveraging our core platform, we are offering solutions that will increase productivity, save operational expenses and enable proactive customer care. Our team, with Domain Expertise, Technolgy enabled Innovations, and Commitment to Customer Care, is dedicated to solve our customer problems Optimally. CTWorks is a Silicon Valley company with offices in USA, India, UAE and Canada. 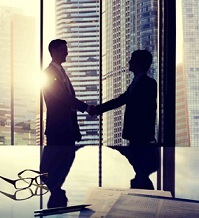 We are eager to work with our prospective and current customers to solve their problems optimally. Please drop us a line @ info@ctworks.net with your requirements or fill in the form below. We will get back to you immediately. Address: No 174, 19th Main Road, 4th Sector, HSR Layout, Bangalore, Karnataka 560102.